Atlantean has six guestrooms with subtle differences to appeal to a variety of desires. 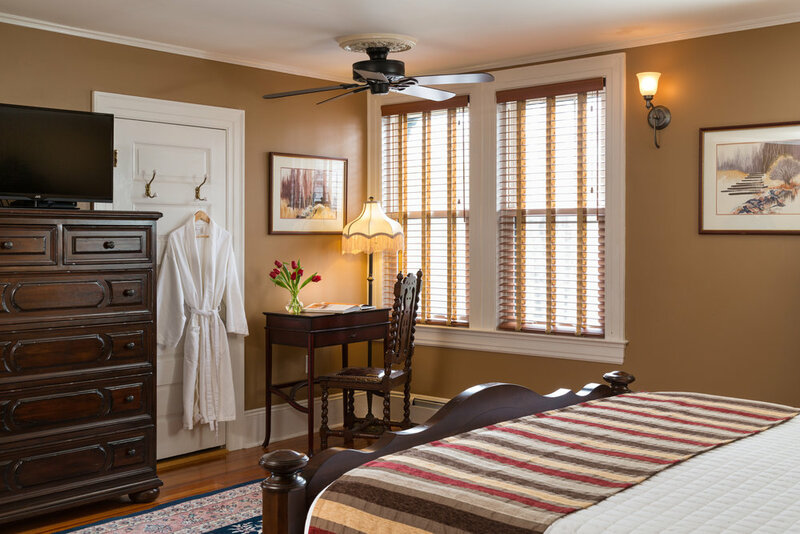 Our two third floor rooms, Birchcroft and Rosserne, are large suites for long, quiet getaways. 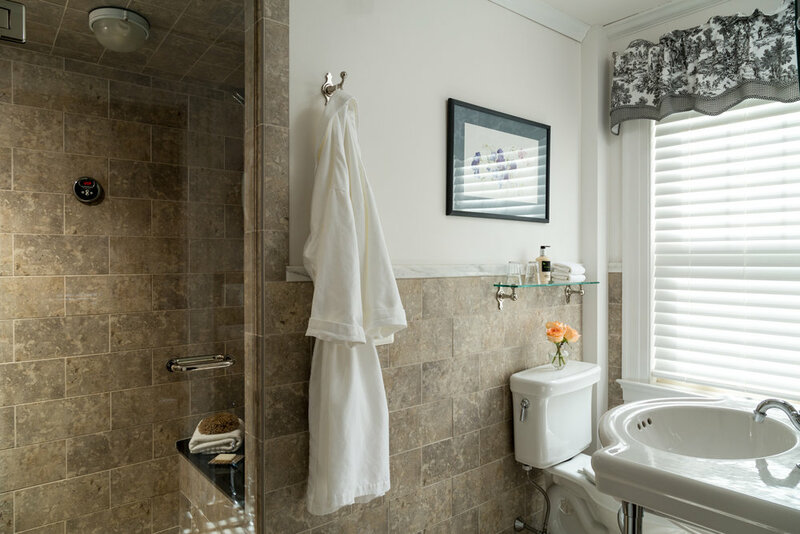 All rooms have private, ensuite bathrooms, Wifi, TV, A/C, Hairdryers, Robes, Bath Products from Gilchrist & Soames and include a full breakfast and 24/7 coffee and snacks. Private parking lot for our guests tucked away behind the Inn. Grand size meets the comforts of home. The largest of Atlantean's guest rooms. Edgemere is considered by many returning guests as, "Their Room". With so much space and great features, it's easy to see why. Second floor//King-sized bed//Ensuite bathroom with whirlpool//Wood-burning fireplace//Mini Refrigerator//Sitting area//AC//Area including bath: 350 sq.ft. Chatwold's Southeast Exposure, brings early morning light streaming through the windows. 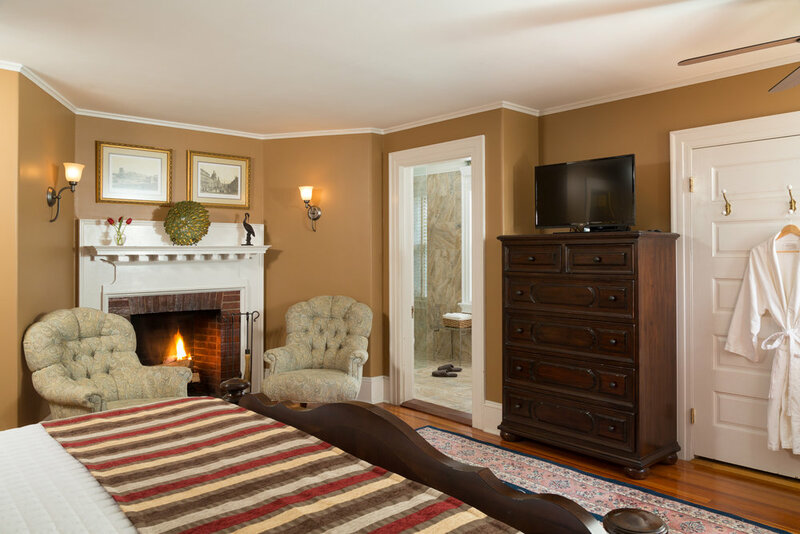 A large mansion bed, rich furnishings and a charming fireplace ensure a marvelous night's rest. 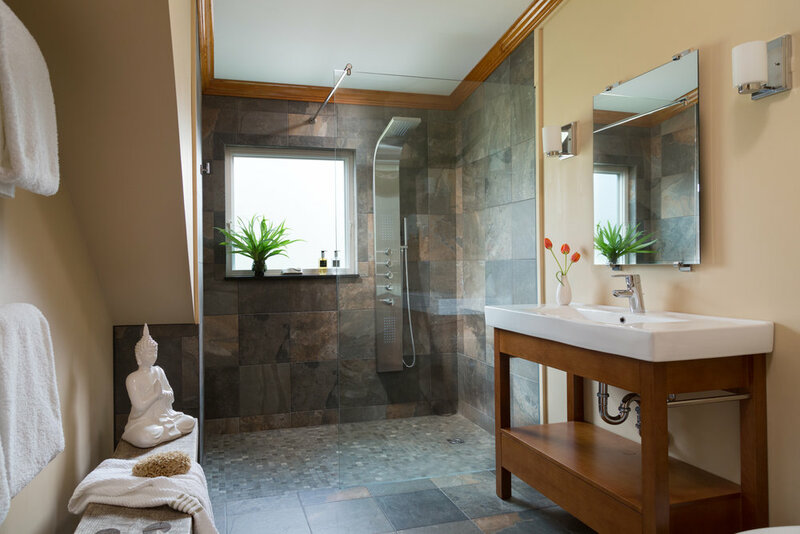 The large tiled shower and spa body jets will invigorate after a long day of exploring Acadia. Second floor//King-sized Bed//En Suite 3/4 bathroom//Wood-burning Fireplace//Mini Refrigerator//Sitting Area//AC/Area including bath: 300 sq.ft.